We Service the Greater New Orleans Area to include, Marrero, Harvey, Gretna, Belle Chasse, Westwego, Luling, Boutte, Kenner, Metaire, Houma, and the North Shore. We provide Rodent control treatments to residential and commercial customers. 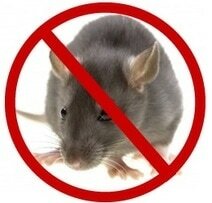 Our technicians are trained Rodent control experts dedicated to one thing: getting rid of Rats ans Mice. Outfitted with the latest gear and backed by the coordination of a top-notch support staff, our technicians in the field get the job done swiftly, thoroughly and safely. ​When Pest Control Solutions of Louisiana services your rodent infestation, we approach it in a way that ensures the quickest possible results. We understand each home is unique and our professionally trained technicians will conduct a thorough inspection of your home, identifying any signs of rodent activity and potential entry points, taking the time to understand your individual needs. At the end of the inspection, your pest control professional will develop a customized plan to address your specific rodent problem. ​Rodents tend to multiply swiftly, and infestations may be extremely difficult to exterminate. Some species breed year-round, and populations are maintained through constant reproduction. Rats eat and contaminate foodstuffs and animal feed. They also damage containers and packaging materials in which foods and feed are stored. Several different types of rat species cause problems by gnawing on electrical wires and structural wood such as doors, ledges, and corners. They also tear up insulation in walls and ceilings for nesting. Rodents’ biology and habits can make them challenging to control, and they present a serious menace to your home. Weather your dealing with a pest problem at home or business, we will find, control and eliminate your pest problem in a fast and friendly manner. The word rodent means to "to gnaw". We will mostly be discussing the type of rodents called "commensal rodents". The word commensalmeans"sharing one's table". Through the ages, rodents have been the cause of some tremendous plagues and diseases. Today, due to increased sanitation and effective rodent and insect control programs, the threat of disease from rodents is not as critical. Rats and mice cause a massive loss of food worldwide. Besides eating our food, rodents spoil it by contamination with their feces, urine, or fur. They also cause damage to our buildings by their burrowing and gnawing activity. Rodents will gnaw through many types of materials in order to reach a location including lead sheathing, cinder block, aluminum siding and some concrete. Although the natural habitat for a mouse is outdoors, when they come indoor mice prefer quite places such as attics, garages, basements, crawlspaces or behind walls. There are several signs of a mouse infestation. Small holes in bags or boxes of food, droppings the size of small rice or loose nests of paper, cloth and other material can all be signs of an infestation. It is also wise to look for an infestation if you see a mouse in or around your home.